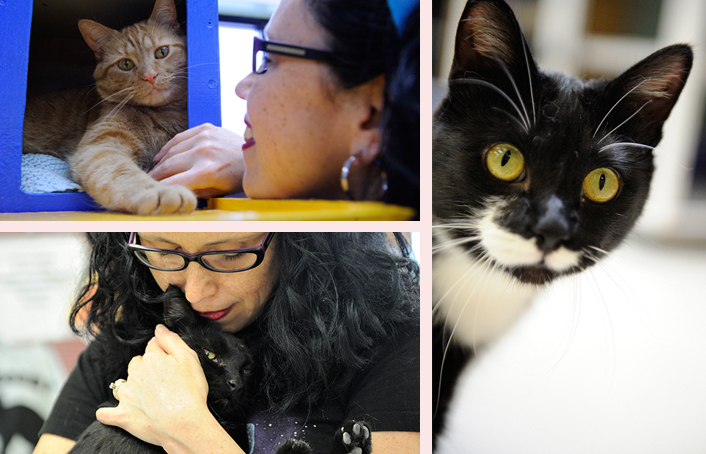 We want to introduce you to some VERY special kitties today. 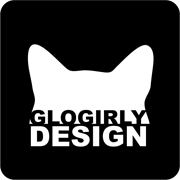 Glogirly and her friend Angie Bailey (of the hilarious blog, Catladyland) recently visited the kitties of Feline Rescue Inc. in Saint Paul, Minnesota to share some exciting news. 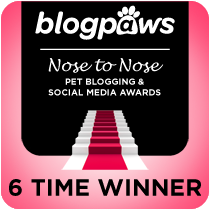 When we both were presented with BlogPaws Nose-to-Nose Awards in May, we received something MUCH better than trophies or treats. We each received 400 pounds of Petcurean cat food to donate to the rescue shelter of our choice. Angie's hoping to be invited inside orange boy Black Foot's hidey hole. Since we visited he's been adopted! Louie is loving Angie's arms. Read Louie's story HERE. Angie and Glogirly wanted to do something EXTRA special for one of their favorite hometown shelters. So they decided to combine their donations and give Feline Rescue 800 pounds of food. I did the math and that's about as much food as both Waffles and I would eat in TEN years! ...and we all know what a food hog Waffles is. 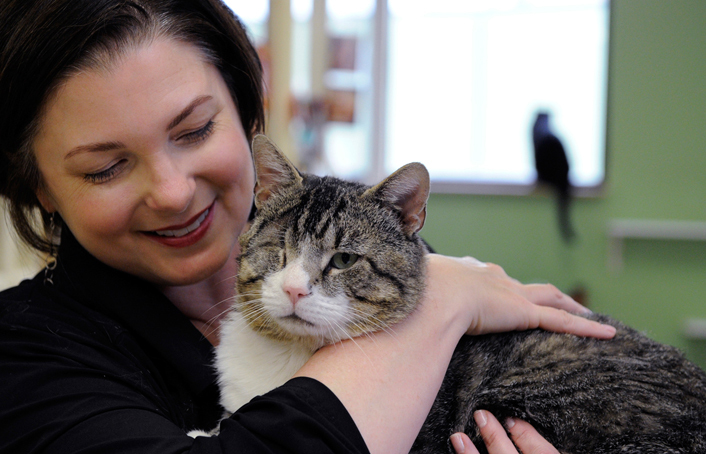 Feline Rescue is one of the little guys making a BIG difference in the lives of homeless cats. 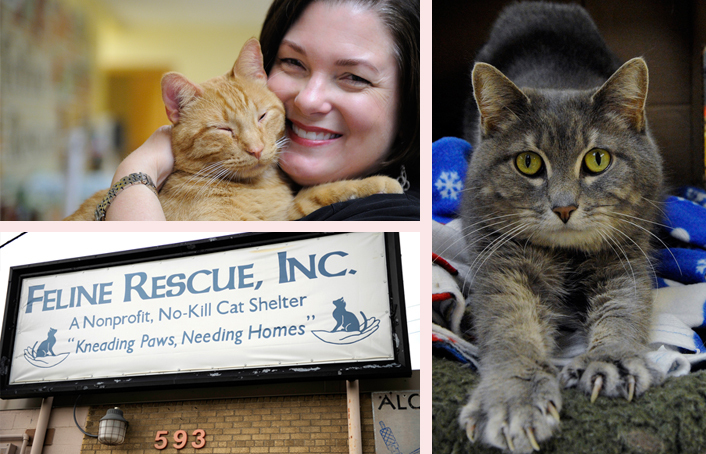 They're an ALL-volunteer, NO-kill cat rescue organization with shelter, foster and outreach programs. Glogirly can't help herself with the orange sweetheart, Kanga. Read Kanga's story HERE. Bella Donna just might be ready for a little mani-pedi! Read Bella Donna's story HERE. 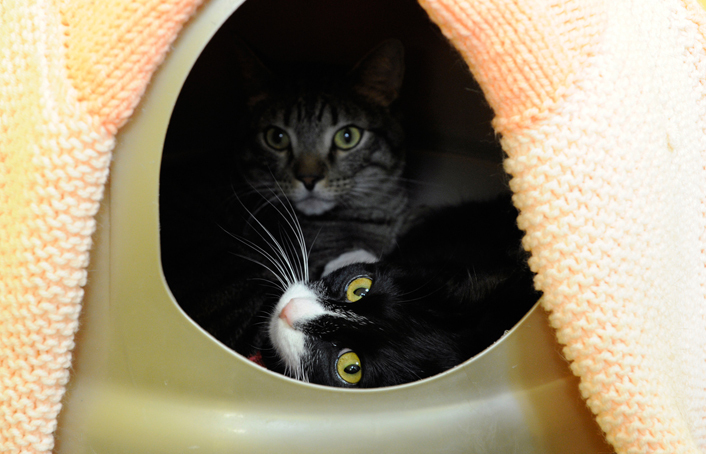 Their shelter facility can house up to 70 cats. 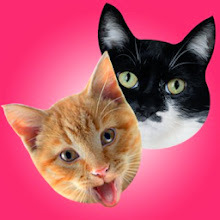 They have special rooms for FEL+ and FIV+ cats, quiet spots, even dedicated areas that provide privacy for cats that are very scared and are in need of socialization rehabilitation. Glogirly saw first hand how much time and care they take to help these cats feel comfortable and safe. They work one-on-one with them until they are ready for adoption. All of the cats in the shelter facility are adults. A network of foster homes provide care for the kittens until they are adopted into forever homes. Rufio and Tux T have a cozy hangout built for two. Read Tux T's story HERE. In addition to safe shelter, Feline Rescue also provides rescue and relief to the homeless and endangered cats in our community through programs that offer foster care, social and medical rehabilitation, feral and stray management, spay/neuter subsidy and community education. Main Coone Ray Charles LOVES his neck scritches. Meanwhile Louie cued up in line, waiting his turn. Read about Ray Charles HERE. 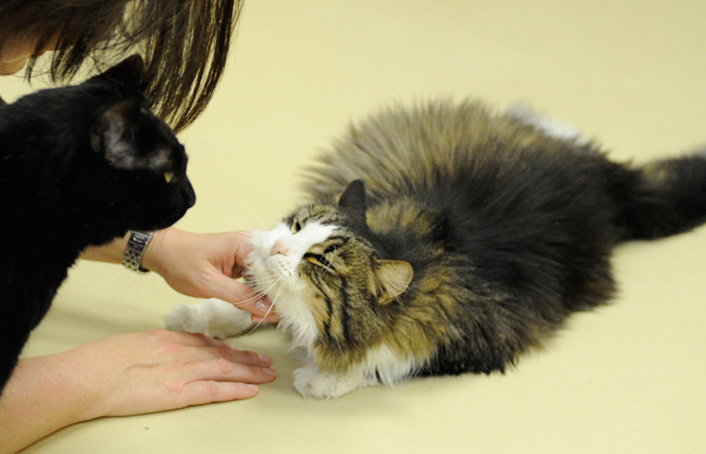 Feline Rescue's amazing volunteers are patient, kind and so compassionate. Their hearts burst with love for these beautiful animals. How could we NOT want to reach out and help? Glogirly, White Cloud and Angie. 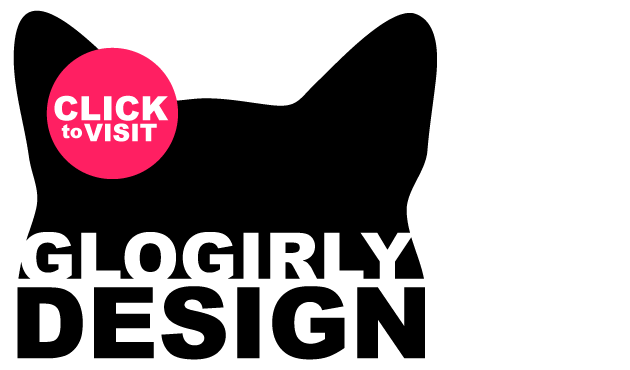 We heart Feline Rescue. Read about White Cloud HERE. 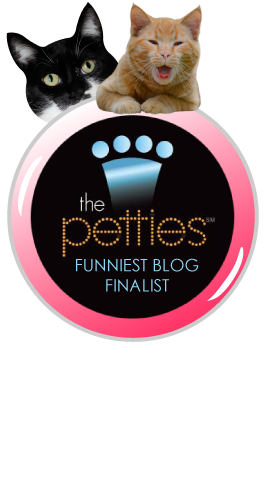 Most of our friends and readers know that GLOGIRLY.com is a finalist for Funniest Blog in the 2013 Petties Awards. 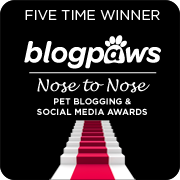 If we win, we will have the honor and privilege of presenting Feline Rescue Inc. with a cash donation of $1,000. This can really make a difference for a small, all-volunteer shelter like this. Thank you to our very own Gloman for visiting the kitties with Angie & Glogirly and taking all of these wonderful photographs. Real men really DO love cats. 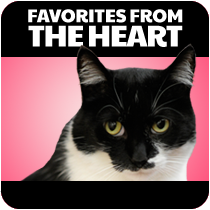 Vote for GLOGIRLY & Support Minnesota's Feline Rescue, Inc.
Oh good luck! We keep trying to vote every day but sometimes forget! Isn't visiting shelters and kitties is the best feeling in the world. When I'm feeling blah, I go outside and sit in gravel, humidity, get eaten by ants but I don't notice because the neighborhood cats come running to me and make me feel on top of the world. Thank you Glogirly and Angie for your generous giving. 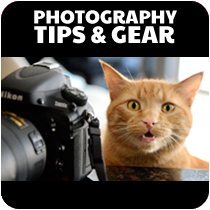 Thanks Gloman for the pawesome photos. And thanks Waffles for not eating all the food before they could get it to the shelter! You know we vote everyday! What a beautiful place with such awesome kitties! Paws up! This is so awesome! Katie, you mean to say Glogirly didn't come back with Waffles Free??? What a great donation to what looks like a really wonderful shelter. We're sure those kitties all really appreciate it. That's pawsome! What wonderful place! Also, gret pics, Gloman! Wow, you guys are amazing, helping out such a good cause. We hope that all the kitties features and all the others boarding, find their forever homes soon. that was incredibly kind of both of you to pool your winnings into one enormously generous donation! 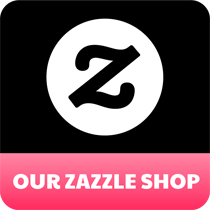 What a wonderful facility, and wonderful post about them! Wow! 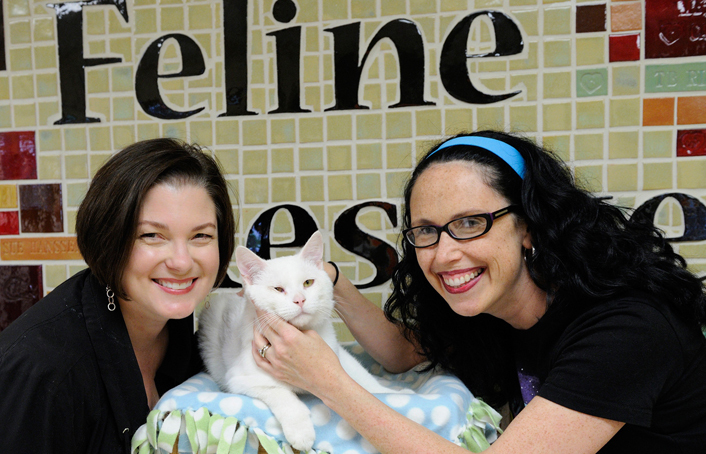 How great of Glogirly and Miss Angie to have their winnings donated to Feline Rescue! The biggest winners were all the kitties there! 800 lbs of food, how awesome! I bet they were delighted! Great post. What a pawsome rescue! 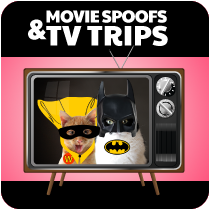 Thank´s for the tour on Feline Rescue Inc. ! Looks like a wonderful and loving place. That was so nice of you both to give food to that shelter. What a wonderful place! We will go right over and vote! Dang paw slip! I was saying...we love it and y'all rock! This post made my day!!! all three of the boyz were adopted from the st. paul feline rescue. thompson in particular is eternally grateful for the care they provided before he found his way home. You look sooo beautiful!!! It's great to see you! I love your blog - I never miss a day of looking at it. Today's post is most touching! If I lived in the area I'd run and adopt right now! Keep up all the wonderful work you're doing. We know your kind donation will make such a difference to that rescue. Those were fabulous pictures but we know your gloman is an artist with his camera but we do have admit the subjects were pretty amazing. What a wonderful post and photos! Sounds and looks like a very special place. This is sooooo cool! Yay for Petcurean's donations! 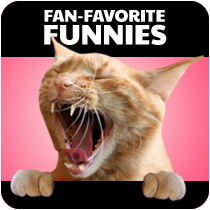 Those are some very happy kittehs, for sure! As "Mom" to former street cats that contracted FIV while homeless, I have a very special place in my heart for rescues that give these kitties a chance. Mom says Glogirly and Angie are furry generous cat ladies. We is sure the kitties at the rescue will be furry happy to gets all that foods. We hopes you wins the $1000 too! What an extra special post and amazing shelter...thank you so much for all you do! What great photos & what a great place! MomKatt would adopt Louis in a hot minute if she could. I'm sure they appreciated the publicity too! And helping shelters is NEVER time wasted. Glad you both had fun! How wonderful that you and Angie were able to get together and donate all that nutritious food for these sweet kitties. It truly is incredible what a difference we are able to make as bloggers and I love reading stories like this. Thank you for sharing and a special thank you to all the amazing volunteers at Feline Rescue.